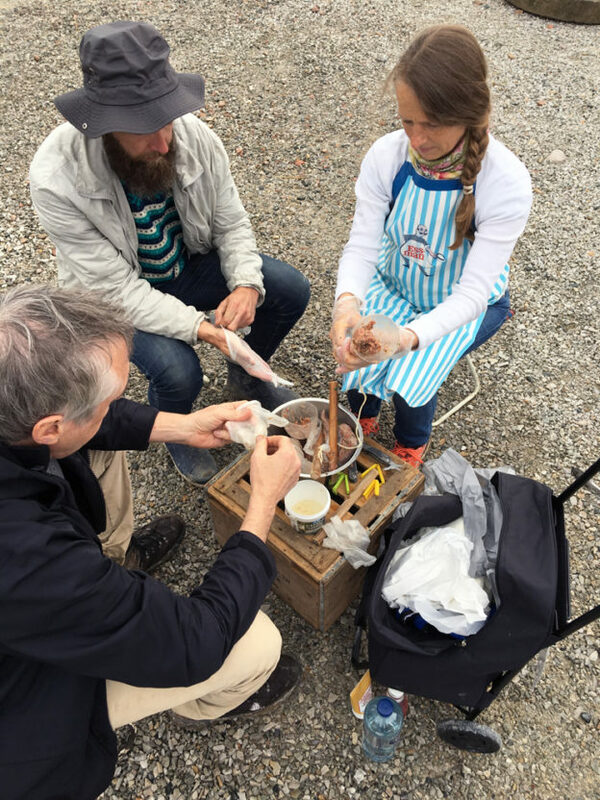 The Mobile Sausage Factory (prototype) visited Hyllie at the Finissage together with sound artist Dr. Flora Könemann (Berlin) who invited visitors and participants to listen to the sounds of sausage making. 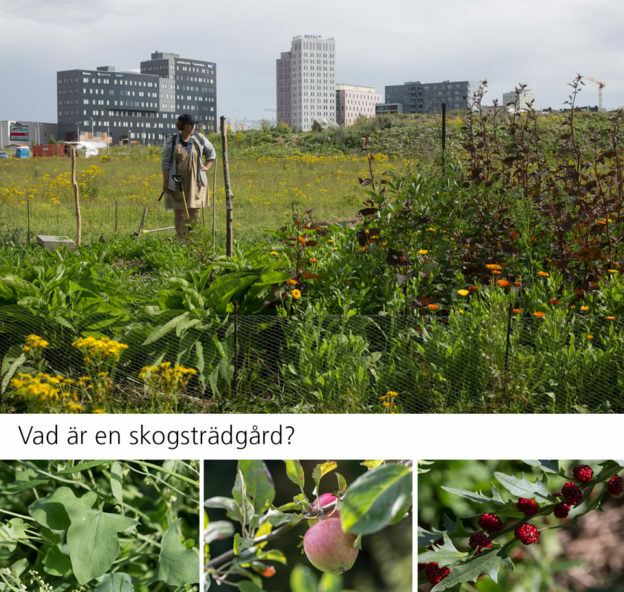 Join Malin Lobell for a conversation about earthworms, soil, and composting; a tour of the edible plants in Cluster; and a conversation about maintaining Cluster as an edible forest edge into the future!! Join Gunnel Pettersson for Field Walk II. 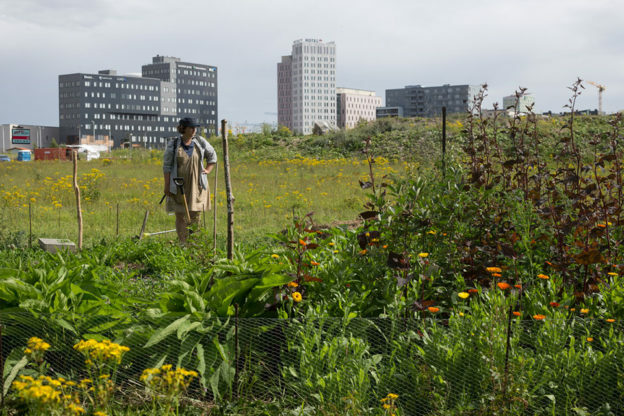 This walk and conversation is about expanding our understanding of the rural-urban as connected public spaces; do we need a next generation of guerrilla gardening also in rural areas? 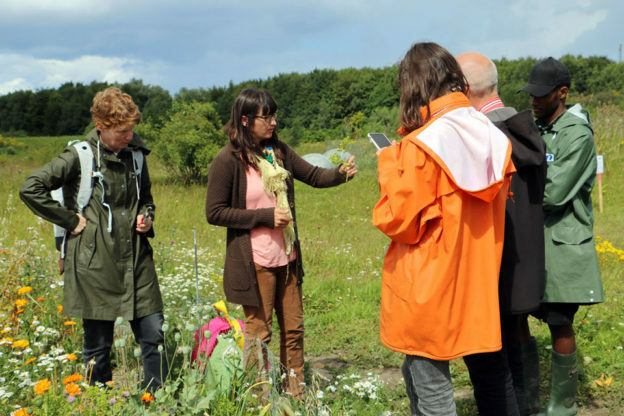 Join Gunnel Pettersson for the first of her FieldWalks at the Buckwheat Field at Agrikultura! 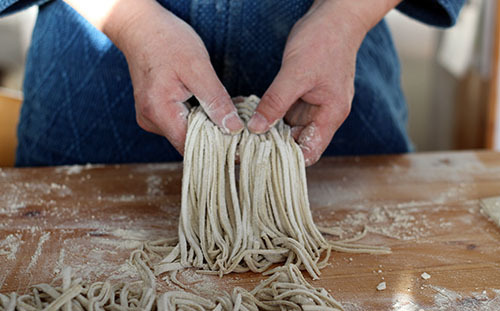 In this “walk” the conversation theme will be about the production of buckwheat noodles and the Japanese culture around “Soba” (buckwheat noodles). Takao Momiyama will perform and offers taste samples and recipes. Takao Momiyama is an artist with a great interest for food crafts. He won third prize nationally in Gastronomic Foods 2015 (Matverk 2015 ) together with chef Johan Linneborg and Gunnel Pettersson for handmade buckwheat noodles. 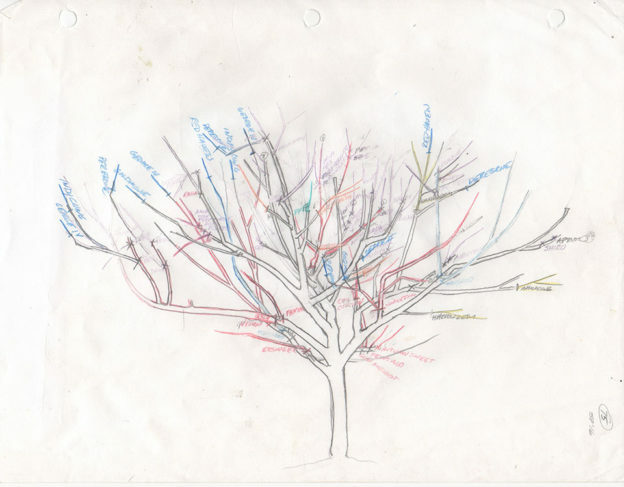 (above) A diagram for a full grown tree that is five years old. 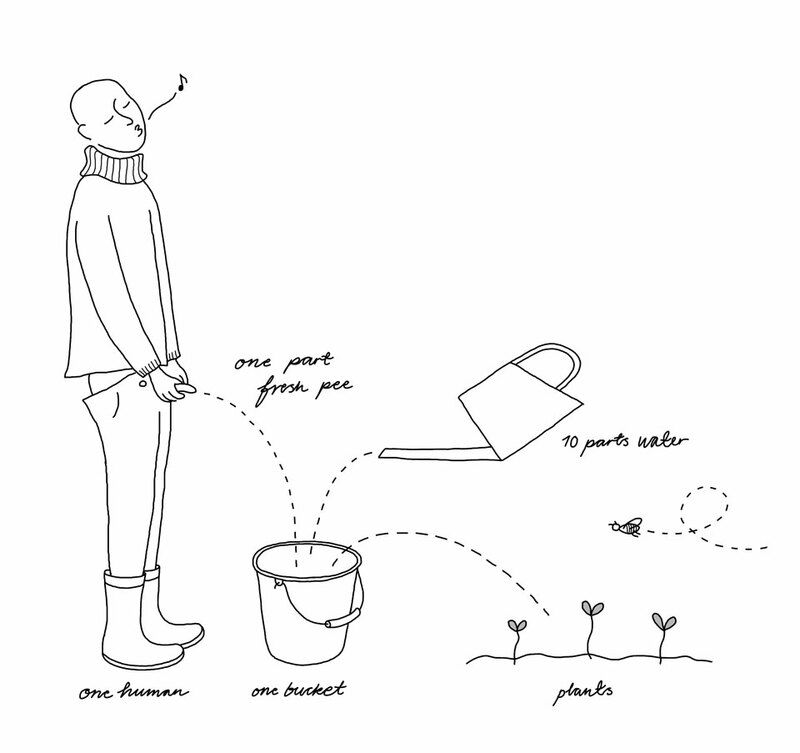 (below) The four diagrams for the trees that were part of Agrikultura. The trees are designed based on the color and time of each fruit’s blossoms. 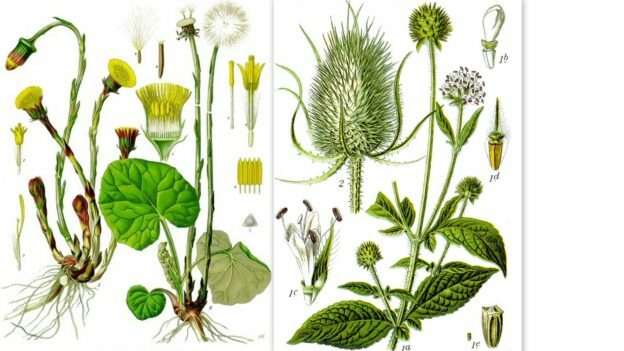 Cluster invites you to view and taste edible perennials during a conversation about a citizen garden in public parkland. 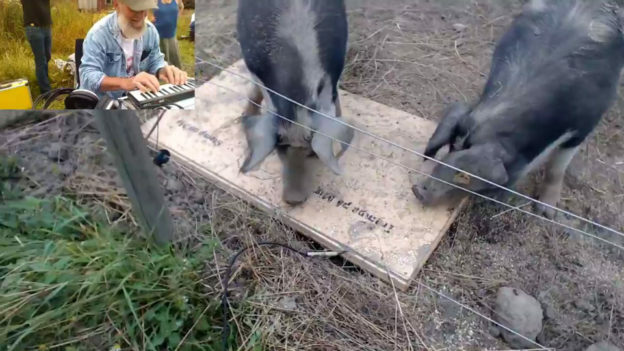 A electronic update of human relationship to Pigs. Gullig and Grynhilde is two LinderödsPigs only 500 left. The last two weeks I’ve added 90 plants. 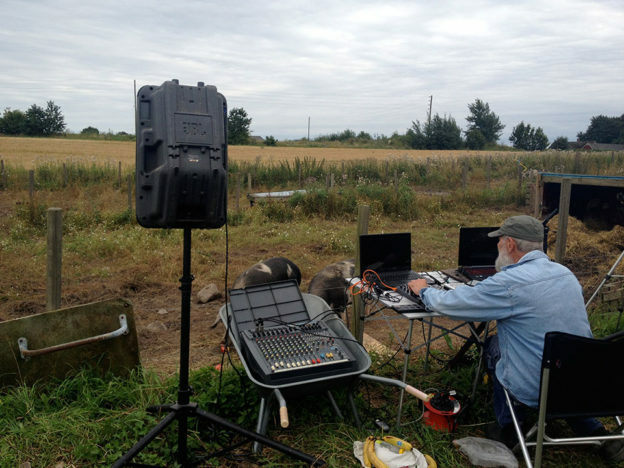 Join Bent Bøgedal Christoffersen for Pigs and Man sound performance! 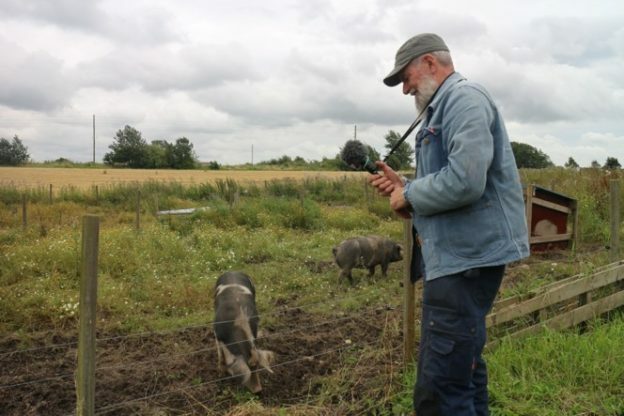 This time, instead of being at Agrikultura in Hyllie, Bent will perform with his pigs at their home on the farm! Listen on Live Stream, if the pigs are willing!! This entry is part of shop by Marek. Maps and Charts are in collaboration with Melissa Gorman. Testing nature’s edible resources at Hyllie for Wasteland Encyclopaedia. Soup is made from 100% local wild plants and mushrooms. 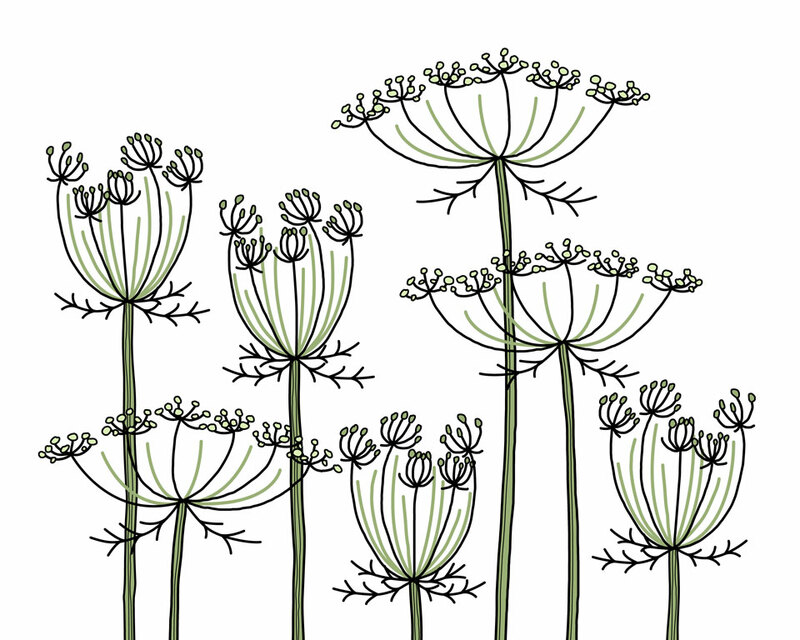 and Pastinaca sativa (vild palsternacka, wild parsnip) – root, leaves and flowers. We strained all wild vegetables from stock as they were too woody to eat. and fried mushrooms, Lycoperdon perlatum (vårtig röksvamp, warted puffball). I met my new girlfriends Gullig and Grynhilde. 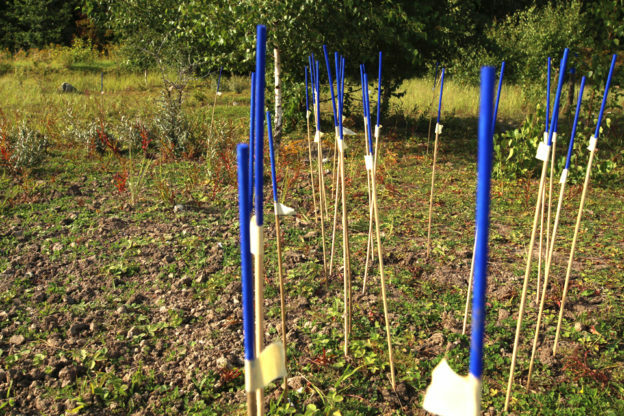 Hopefully they will join to make a sound art performance at Holstenhof in Vollsjö in the near future. We need a good day without rain. 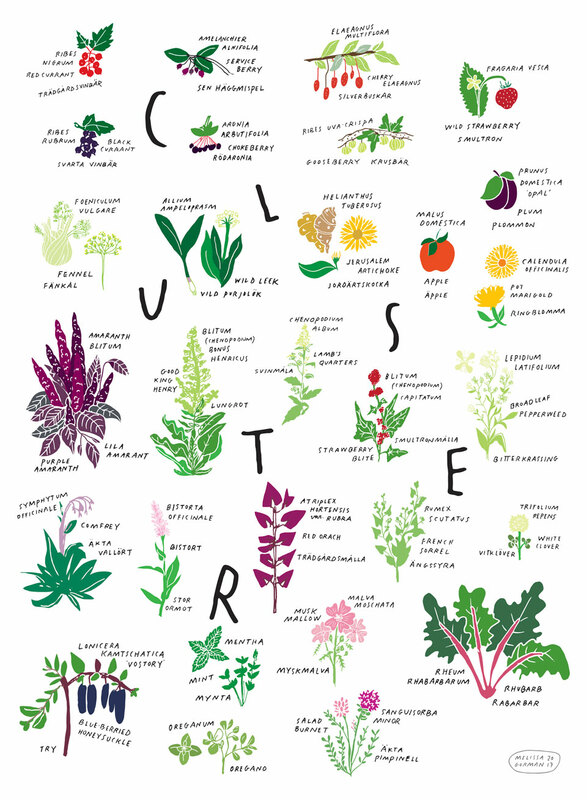 Join artist Sophia Warsh and biologist Christi Byrd for a workshop which will focus on learning the patterns of the flowering plant families present at the Agrikultura site. 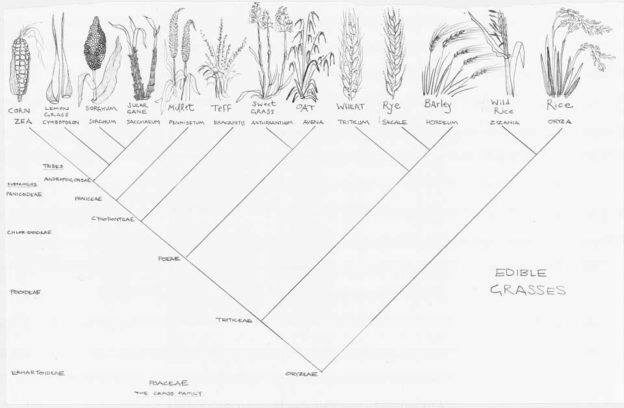 Warsh and Byrd talk about how to identify the wild and cultivated plants, and then make a tree of life that shows their evolutionary relationships. What families are most abundant on the site? How do we know a rose is a rose? These and other questions will be answered at this exciting workshop. 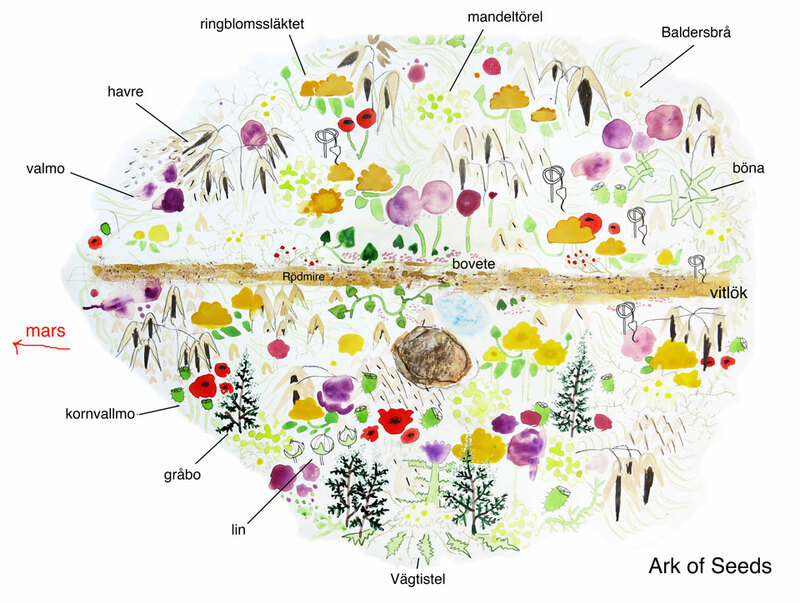 Johanna Kindvall is creating patterns based on the plantings at Agrikultura. The Mobile Sausage Factory visited Hyllie on the opening of Agrikultura presenting a trailer for a workshop in August: Korvkärlek! Gör korv du kan äta med gott samvete / Sausage love! Make sausages you can eat it with a clear conscience. Notions about place inform my ongoing work with Vague Meadow. I’m trying to think about place as dystopia. That is, at the brink of anthropocen (www.theguardian.com/world/2017/jun/15/timothy-morton-anthropocene-philosopher ), I ask if we still can think or rethink places (people) in idealistic terms, as utopia? All places are more or less dystopian, more or less bad. That make them political. They can be good for some and bad for someone else at the same time. And they can be improved. Or maybe we lack terms for places in a new geological era? 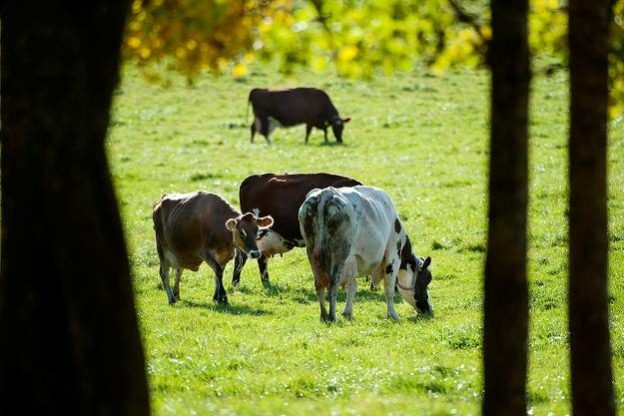 We now know that agriculture produce extended soil erosion globally. Oceans turn sour and many species are deracinated. Our temporary knowledge tells us that the place in Hyllie (the recessed area) is 5000 years old, in the holocen era. 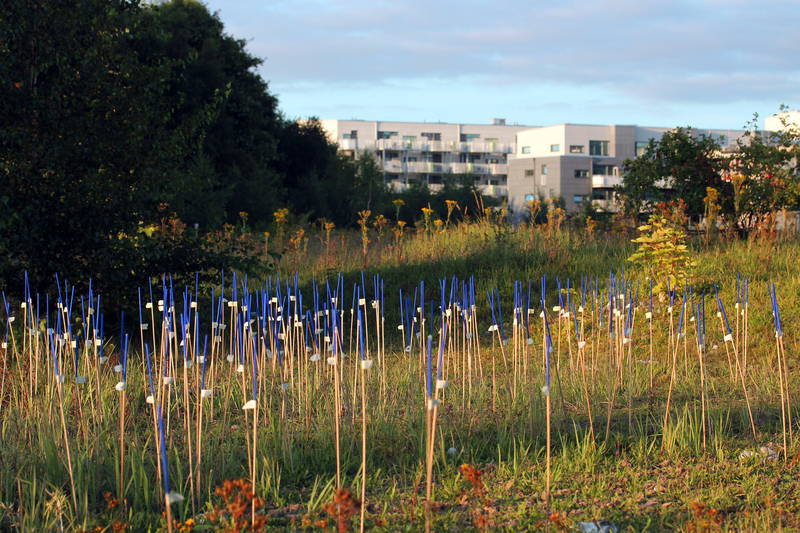 Back to when people started to grow land in Skåne. Erik Sanner has noted that the top soil layer at Hyllie, the most fertile ground in Sweden, was sold many years ago (agrikultura.triennal.se/sv/martian-neighborhood-hyllie/ ). Geology as commodity, anthropocen logic, in which human impact can be traced to every inch of the globe. 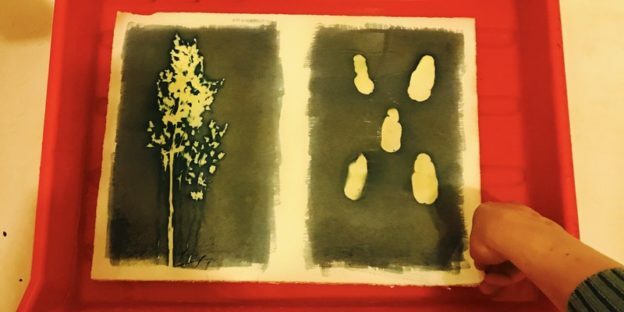 Join Farah Marie Velten for a demonstration and workshop where you’ll learn the photographic printing process Cyanotype, which she is also using for her Agrikultura project, Agriphoto Culturagraph. The process dates back to 1842 and works using sun and water. 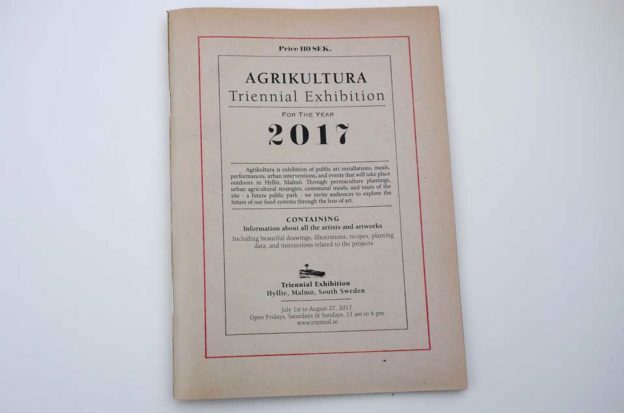 You will get to make your own contact prints using items you’ll find at Agrikultura and get to take your one-of-a-kind pieces home with you. At the center of most European villages is a church or a castle. In Hyllie, the first structure was the spaceship. The hotels, malls, condos and office buildings came later. This is how Martian towns will develop, where the oldest structures will be vessels which have landed. Topsoil is a valuable commodity, and the topsoil in Hyllie was stripped away and sold many years ago. The earth in the southern part of Sweden is among the most fertile ground in all of Europe, yet Hyllie’s land is not hospitable. To some extent it has been marsformed already, the opposite of terraforming. In Hyllie as you observe the landscape from the Martian crater, you see very few people. 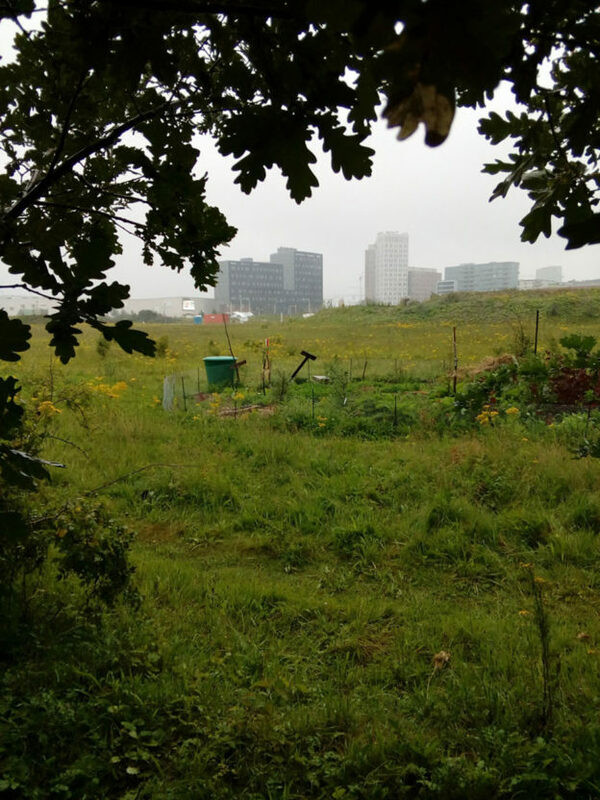 You might see someone on the bicycle path, or other visitors to Agrikultura, but otherwise it looks uninhabited. Yet there is a sizeable population in the neighborhood. Where are they all? Inside the mall, or the office buildings, or the hotels, where the windows don’t open, sealed environments in which the air temperature is controlled by computers, and machines are constantly circulating the air with sophisticated pumping mechanisms. 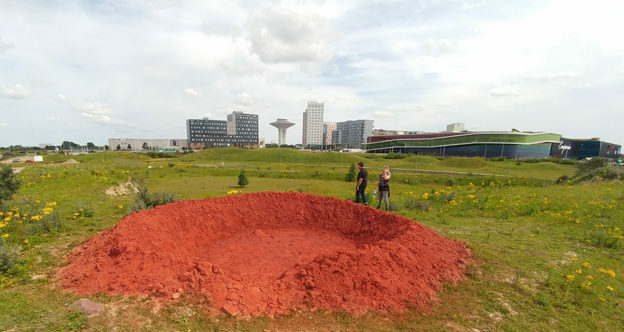 In Hyllie, people are already living as if they are on Mars. 16:00 Vid kluster: Malin Lobell Brodersen håller en föreläsning för att hedra daggmasken och jordens betydelse med utgångspunkt från Darwins bok ”The formation of vegetable mould” till Haraways ”human as humusity”. 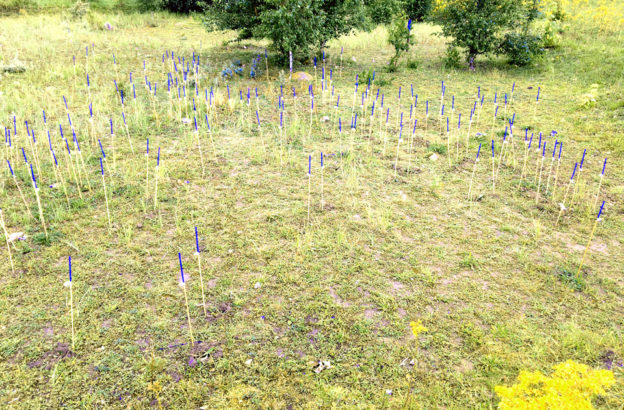 Från monokultur i jordbruket till polykultur i skogsträdgården. 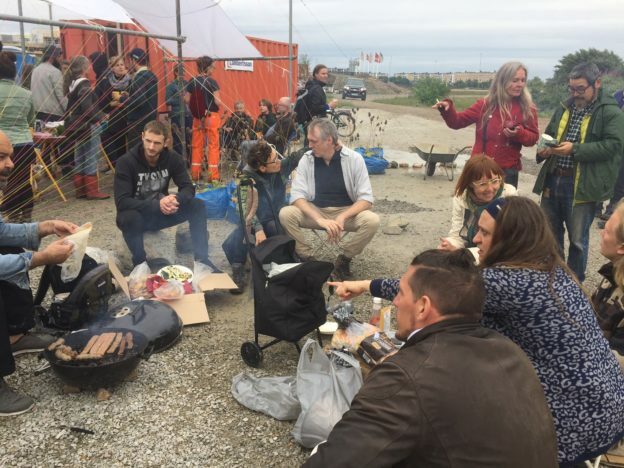 Samtalet avslutas med introduktion och provsmakning från Cluster. 16:00 På öppet rum. Delta i Bent Bøgedal Christoffersen grisinspirerade ljudperformance Pigs and Man i det Öppna Rummet! 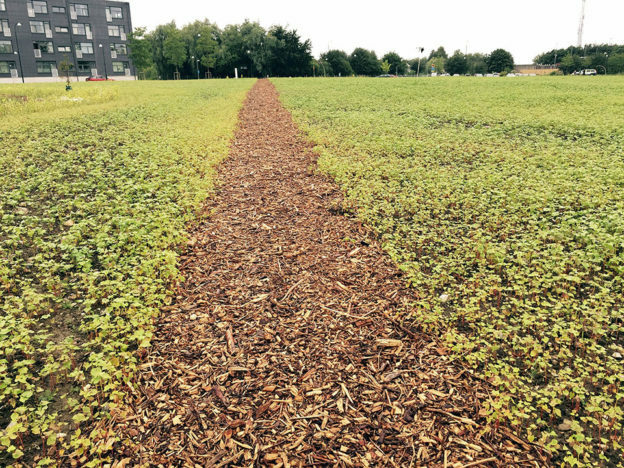 Buckwheat grows on the field in the middle of the new settlements. Can we coexist? The path is prepared for the walks. The conversation can begin. A workshop can be anything. Modes of communication and expression do not need to be predetermined. Silence, speech, listening, thought, action… Our phones are pocket television studios, our movements can be choreography, our voices can be music, our words can be stories. The color of Mars is caused by iron oxide. At the Martian Crater, the authentic iron oxide began to puddle as a result of Earth rain. It looks like wine, red wine, someone said. Let’s take off our shoes and stomp in the mud as if we were crushing grapes. We performed an ancient ritual in an absurd environment. As people choose which elements of our existing cultures can be taken to Mars and should be taken to Mars, it is possible that some forms will become divorced from their original function or meaning. Wine-making may become puddle-stomping. In the slow pace of the lower Martian gravity, in a sealed environment where all water is recycled, in soil where grapes have never been planted, a traditional functional act becomes a purely aesthetic movement. The queen bee only sees daylight once in her life, the day she mates. Its a wild affair with multiple drones. The rest of her days, she lives in darkness. I image=ine, at times, she can see through a small hole in the hive, maybe a bit of sun and the horizon. Here are large-format photos taken from a pinhole in an active beehive at the former landfill / future park of Hyllie in Sweden.